To improve healthcare, blockchain and more general Distributed Ledger Technologies (DLT) offer a huge range of new possibilities. 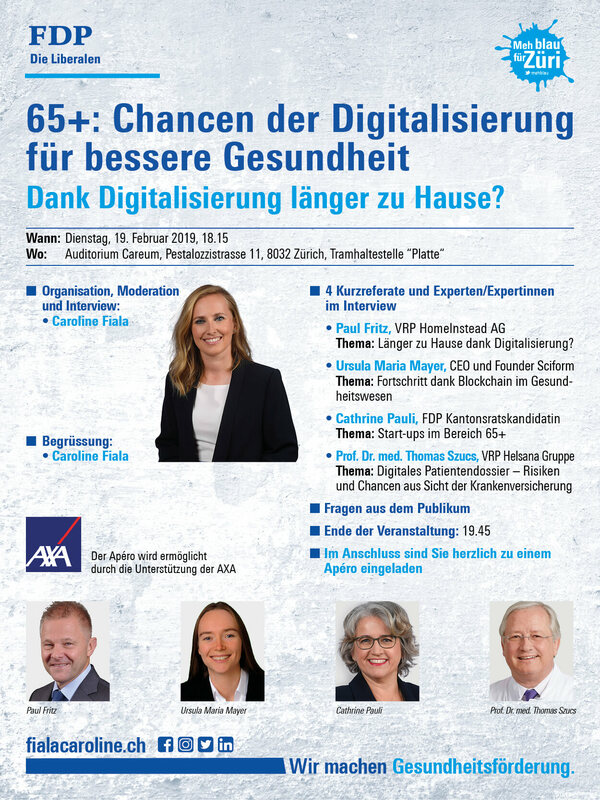 I am looking forward to discussing how DLT core concepts such as decentralization, data immutability, new data security features and advanced smart contracts can bring substantial progress to automation of data management and workflows for patient treatment and care. Meet us at the FutureHealth 2019 in Basel! Sciform invited as a "Mover & Shaker" to participate at the FutureHealth 2019 conference in Basel. We are looking forward to meet you for inspiring talks and fruitful networking!